The UNIST-PNUYH Joint Symposium was held at PNUYH on the 30th of August, 2016. UNIST and PNUYH to hold a joint symposium on "Coping with Incurable Disease". UNIST has announced a unique collaboration with Pusan National University Yangsan Hospital (PNUYH) to accelerate the development of new drugs to treat incurable diseases, ranging from diabetes to cancer. The collaboration will comprise UNIST’s Center for Cell to Cell Communication in Cancer (C5) and PNUYH’s Research Institute for Convergence of Biomedical Science and Technology and will provide new impetus for South Korea to lead the world in biomedical research. Both organizations have outlined the important future research directions for the treatment of many as-yet-incurable diseases at the UNIST-PNUYH Joint Symposium, held at PNUYH on the 30th of August, 2016. The theme for the symposium was “Convergence Study of Bio-Medical to Conquer Incurable Diseases”. This symposium aimed to advance knowledge and expertise in new drug development, through multi-disciplinary collaborations of the cancer research community to further improve the care and outcomes of the patients with incurable diseases. Director Pann-Ghill Suh of Center for Cell to Cell Communication in Cancer (C5) at the UNIST-PNUYH Symposium on Aug. 30th, 2016. 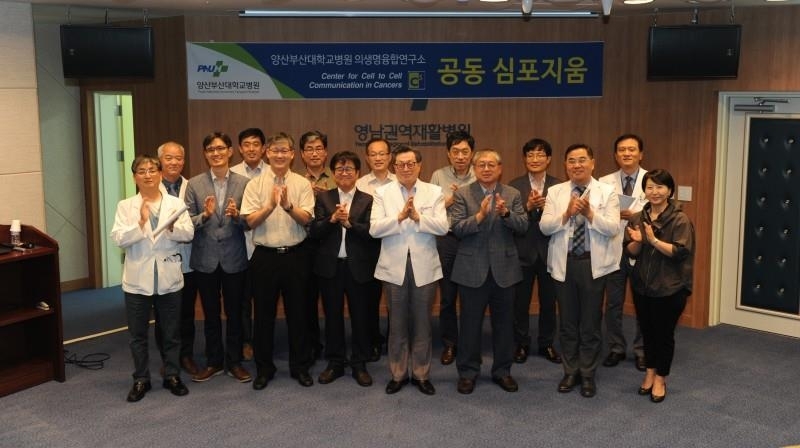 At the event, Director Pann-Ghill Suh of C5 and Prof. KangYeol Choi of Yonsei University presented a new phenomenon of cancer metastasis and released the new targeted cancer theraphy that overcomes the problems with currently existing treatments. 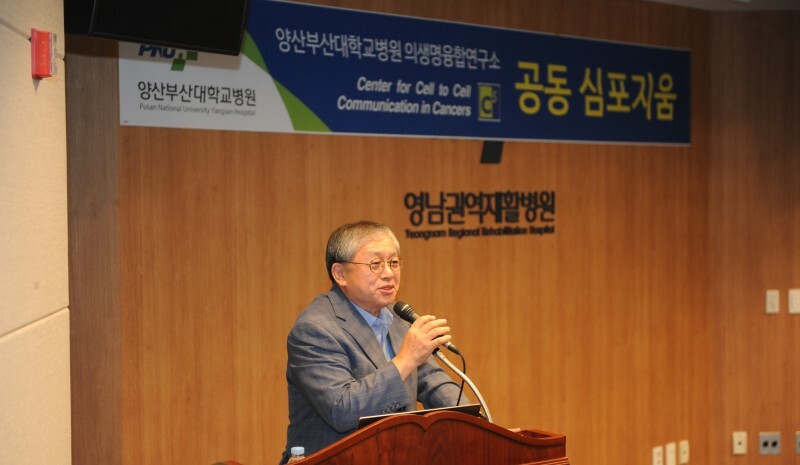 Director Suh also presented a new direction for the development of colorectal cancer by discovering the phenomenon, in which broken cellular signals in malfunctioning cancer cells is the leading cause of the colorectal cancer. Also, Prof. SuJin Moon and Prof. SangSoo Lee of PNUYH, and Prof. Hyug Moo Kwon of UNIST talked about the causes, diagnosis, and potential treatment of incurable diseases, as well as translational research method for the development of new treatment technologies. Translational research applies findings from basic science to enhance human health and well-being. In a medical research context, it aims to “translate” findings in fundamental research into medical practice and meaningful health outcomes.